An old photo from fellow cruising adict and friend, Jo. Kamo Maru was built in 1908 for Nippon Yusen Kaisha line, a subsidiary of Mitsubishi. Although there is no official record available, she was probably built in the shipyards of Mitsubishi Heavy Industry, Ltd, in Nagasaki. At just over 8,500 GRT and 470 feet long, she operated as a passenger, cargo and mail ship, regularly visiting Australia, China and other Asian ports. In fact, as you can see from the ad from the Sydney Mail, NYK offered regular cruises out of Melbourne and Sydney via Queensland, Thursday Island, Phillippines and Hong Kong to Japan. 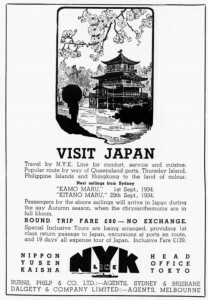 In 1931 The Sydney Morning Herald reported that Kamo Maru had to drop off a passenger from Shanghai who had been diagnosed with Smallpox. The ship was then quarrantined for several weeks at North Head in Sydney while the passengers were monitored to see if anyone else contracted the disease. In 1936 she was involved in a collision at sea with another vessel while sailing to Sydney. She continued to visit Australia until the outbreak of war with Japan in 1941. In July 1944, the submarine USS Tinosa torpedoed and sank Kamo Maru in the East China Sea west of Kyushu. 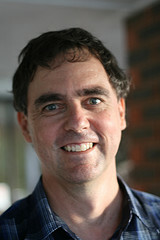 Thanks for the fascinating photo, Jo! Hi, I just wanted to say thank you for the information on the Kama Maru. shipping lane or perhaps he travelled on salvage ships. perhaps you might have the answers to one or two of my questions. of the family tree along with the photo and story of what happened to it. Thanks for the info. My parents travelled aboard the Kamo Maru from Hong Kong to Sydney arriving 17th Dec 1938. I have a souvenir of the trip, an elaborate paperweight embossed underneath “Compliments of NYK Line”. 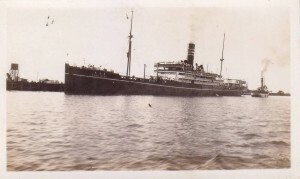 On a July 1918 emergency passport application, the Kamo Maru was cited as having sailed from Seattle,Washington, July 5, 1918, to Yokohama, Japan. I do not know if it helps but I recently found a passangerslist of my grand-grandfather who travelled with the Kamo Maru from London, (Dep. March 24th 1917, during WWI) to Singapore. So, the Kamo Maru has sailed also to Europe! At least once! The Spanish guitarist Andres Segovia arrived on this ship from Europe to Hong Kong early September 1929.